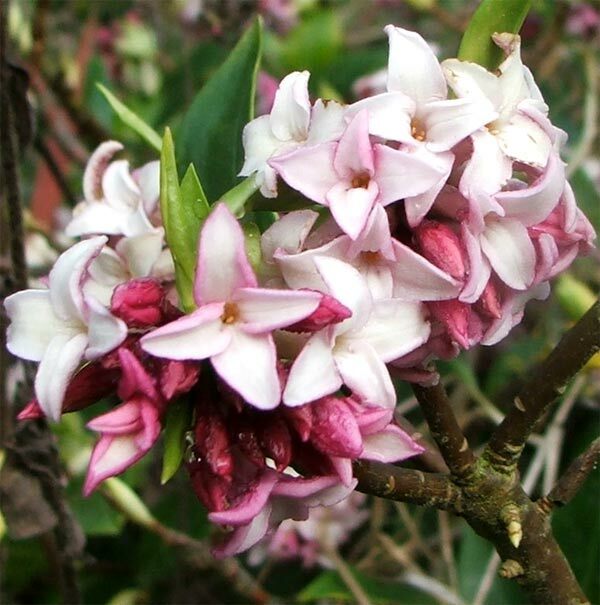 There were already three Daphne bushes in the garden when I first came to Mooseys Country Garden - in a small area by the washing line, with lavenders and some herbs. These early plantings were obviously designed to make hanging the clothes on the line more enjoyable! 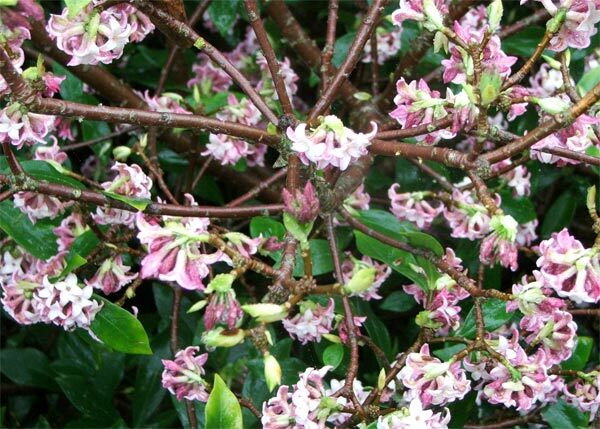 For a period of two or three weeks the Daphne fragrance is really strong, and it is indeed a pleasure to be working in the nearby gardens. I 'prune' the bushes for the flower vases in the house. What a beautiful scent! Then, suddenly, the flowers are fully open, and the perfume lessens. Later in the year my Daphne shrubs start to look a little unloved, and sometimes I get alarming numbers of yellow leaves - definitely not a good look!